With enough power to excel on all sorts of tracks and terrain, combined with an extremely lightweight chassis, the 300 XC has one of the best power-to-weight ratios in it's class. The unrivalled power-to-weight ratio of the lightweight 2-stroke engine makes it a true contender against the more complex 4-strokes. For MY 2017 the 300 XC features detail improvements and new colors and graphics, but basically retains the same chassis and engine specification as MY 2016. CYLINDER The cylinder of the 300 XC is fitted with a sophisticated TVC (Twin Valve Control) power valve, providing adjustable power characteristics. 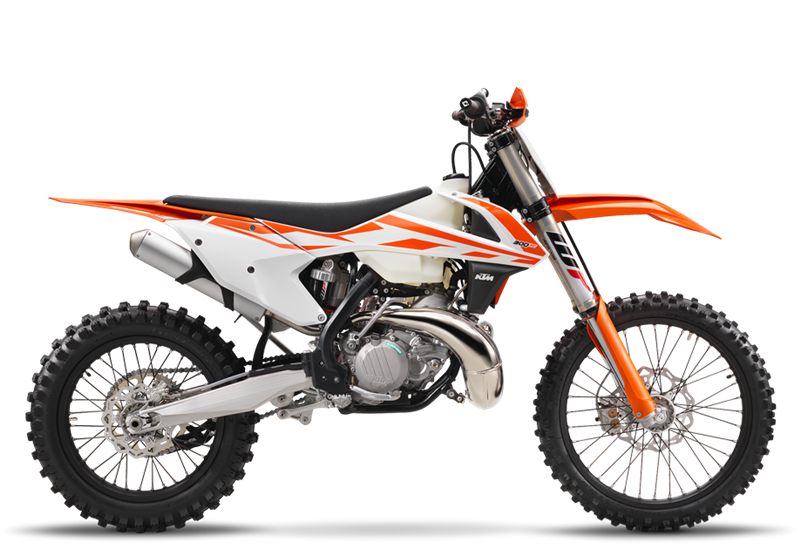 The power character can be changed within a few seconds thanks to two supplied springs for different tracks and rider preference. CARBURETOR The 300 XC is fitted with a proven Mikuni TMX 38 carburetor producing the perfect air-fuel mixture. For extreme temperature or altitude the setting can be tuned with supplied jets and needles according to a setting list in the manual. 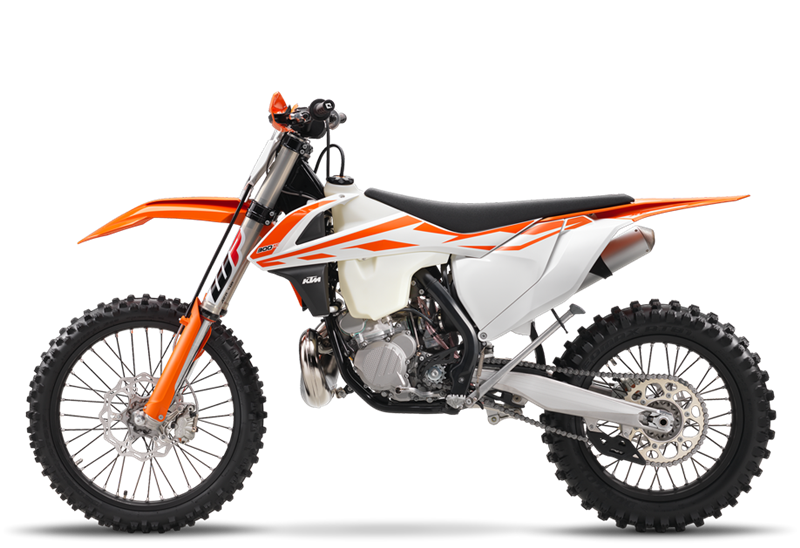 ENGINE The powerful KTM 300 SX engine unites an unbeatable power-to-weight ratio with outstanding performance and extremely easy handling. FRAME The modern frame design of the 300 XC, comprised of lightweight, high strength, chrome-molybdenum steel section tubes, combines maximum longitudinal stiffness with optimum torsional stiffness. LINKAGE/SHOCKABSORBER The linkage system of the 300 XC features a progressive curve with a high initial rate ensuring good stability. The high-end WP 5018 shock absorber guarantees outstanding response and damping characteristics. Compression and rebound damping can be adjusted to the track conditions and the rider's preferences. HANDLEBAR The 300 XC is equipped with a tapered handlebar made of high-strength aluminum by NEKEN, which is fixed in a new rubber damped handlebar clamp allowing the handlebar to be mounted in two different positions. A new, larger handlebar pad protects the rider in case of a crash.